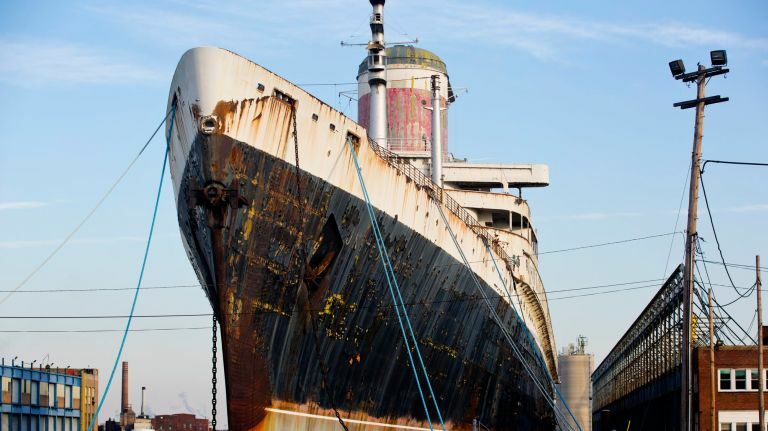 Uniondale-based RXR will work on an adaptive reuse plan and suitable site for the 990-foot ship that set trans-Atlantic speed records after its launch in 1952, but which has been deteriorating at a pier in Philadelphia since 1996. 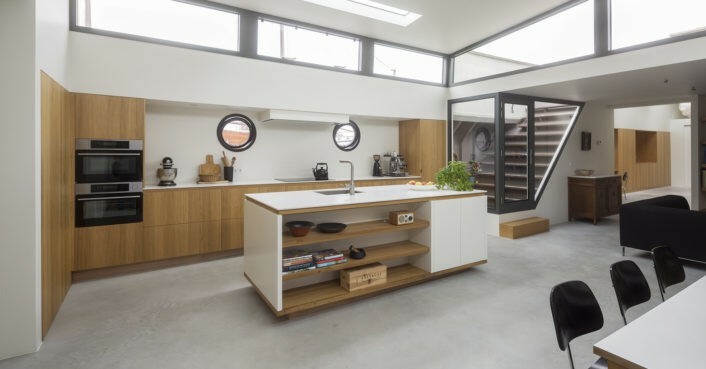 Fitted with electrical sockets, a wood-burning stove sourced from the original mast-step, and a sail canvas door, the attention to detail is impressive. The shed has even been made watertight using marine resin. Boat Pod is a finalist in the Unique category. Unlike most ship and barge conversions, this transformation eliminated the linear system of spaces and offers several sight lines that run the entire length of the ship and across different floors. Yoro hopes to turn the ship into a public work of art rather than just a forgotten vessel left to slowly sink into the water over the decades. 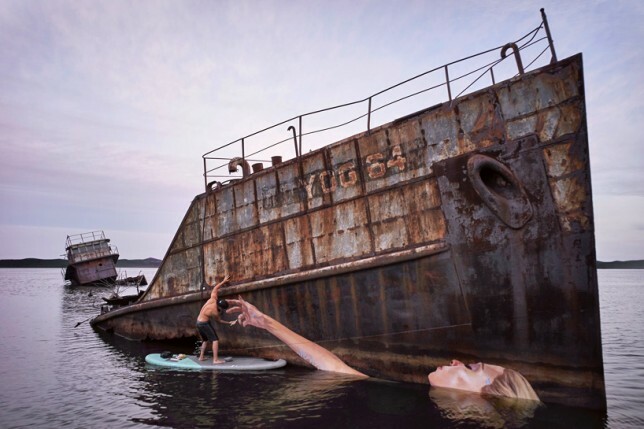 via Abandoned Ship: Artist Paints Figure Onto Floating Ruins | Urbanist. He also found ways to access material from old wooden buildings — and facilities like the University of Oregon’s old tennis courts — and even from the sea. One stack of wood stored in his factory, waiting to be transformed, is from World War II cargo ships that had been deliberately sunk in Newport harbor after the war as part of a pier. 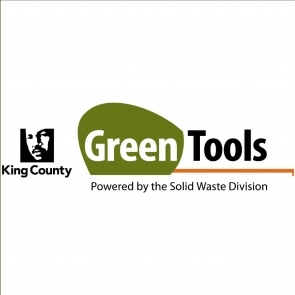 via Urban Lumber plans to grow outward from Springfield | Business | Eugene, Oregon. Taking place at RAI Amsterdam on Monday 16 November, speakers and panellists at the conference will present their experiences and lead debates on the subject of End-of-Life Boats (ELBs) and how their growing numbers can be practically dealt with in the coming years. via Boating Business – Recycling Conference speakers confirmed. via The Future of Yacht Recycling >> Scuttlebutt Sailing News. via Pier A Restoration and Adaptive Reuse in NYC to be honored. Austrian company Fipofix believes that it’s identified a material better-suited to the high seas, saying that its specially processed volcanic fiber-based composite, more commonly known as basalt fiber, offers a better performance-price ratio than carbon fiber or fiberglass and can be recycled after use. via Solar-assisted, volcanic-composite sailing yacht navigating world’s toughest waters. Most people think of reclaimed wood from old barns and schoolhouses. Our story was born in 2004 down at the shipyard, with a lot of grit and a couple of friends’ idea to rescue some really amazing wood from winding up in a landfill. Wood from far off ports arrives daily as shipping pallets and crates, but it’s extremely difficult to recycle. Through years of trial and error we pioneered a method for up-cycling these dockside discards into products with lasting value. This video explains the why, how and what we do to make the most of every stick of wood we reclaim. via Meet Viridian Reclaimed Wood – YouTube. Café de Ceuvel – Crowdfunding from Café de Ceuvel on Vimeo. 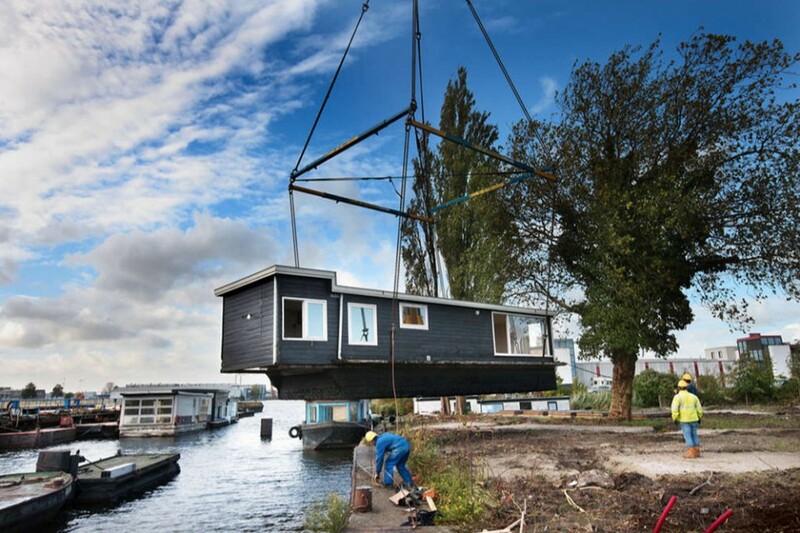 via Floating on Dry Land: 17 Derelict Houseboats Find New Home | Urbanist. Thanks to Ruth Trocolli the archaeologist for the District of Columbia Historic Preservation Office, for this gem of an article. The Kinnickinnic River in Milwaukee. Maher hopes to put his new skills to work and continue deconstruction work in the area. 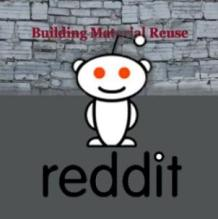 He has learned that it is possible to efficiently take a structure apart, salvaging valuable materials and greatly reducing what goes to the landfill. 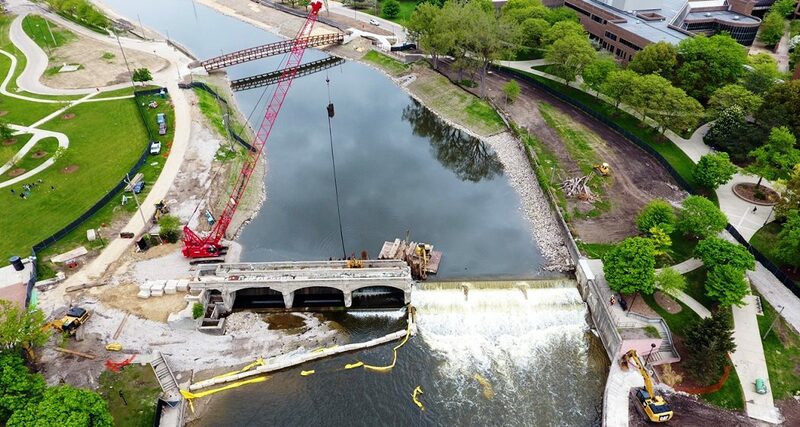 As the construction sector of the economy rebounds, the success of the Kinnickinnic River project could encourage less traditional demolition and greater use of deconstruction techniques. The Partnership for Working Families, a grantee of the Surdna Foundation, is a national network of leading regional advocacy organizations who support innovative solutions to our nation’s economic and environmental problems. 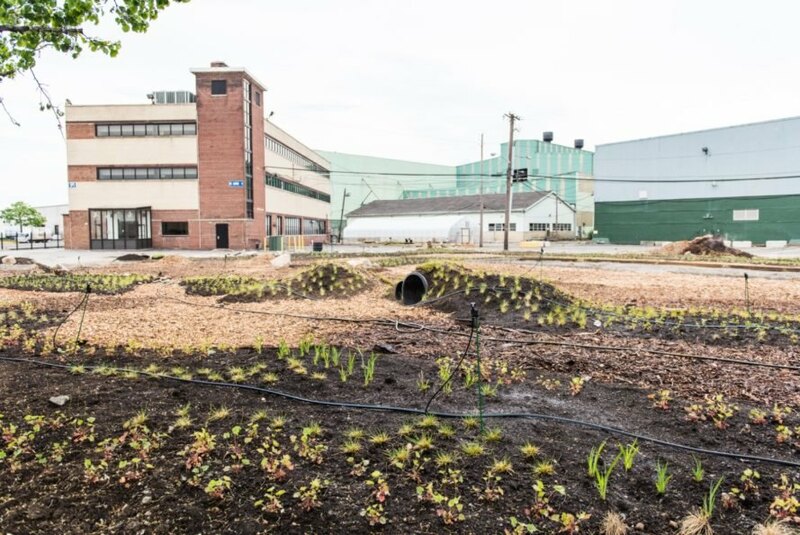 via Op-Ed: Minimizing Scrap and Creating Jobs in a Milwaukee River Restoration – Next City. via Four More Shipbreaking Workers Die in Bangladesh | Environment News Service. Formalised in 2006, the industry had by 2012 allowed Bangladesh to recover an estimated 1.5 million tonnes of steel. 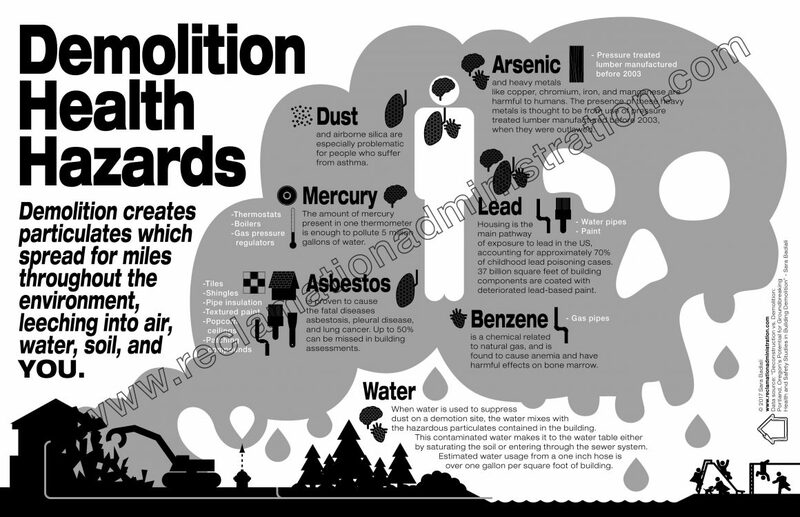 At the same time, according to the study, thousands of tonnes of toxic substances such as asbestos, lead, waste oil and other chemicals were discharged into the soil and sea. via Ship-breaking hurts Bangladesh’s fragile coasts – SciDev.Net South Asia. The project was designed by Alejandro D’Acosta and Claudia Turrent, a husband & wife architecture team, based locally in Baja, who are known for their inventive approach to reuse, which includes everything from rammed earth to reclaimed trash. 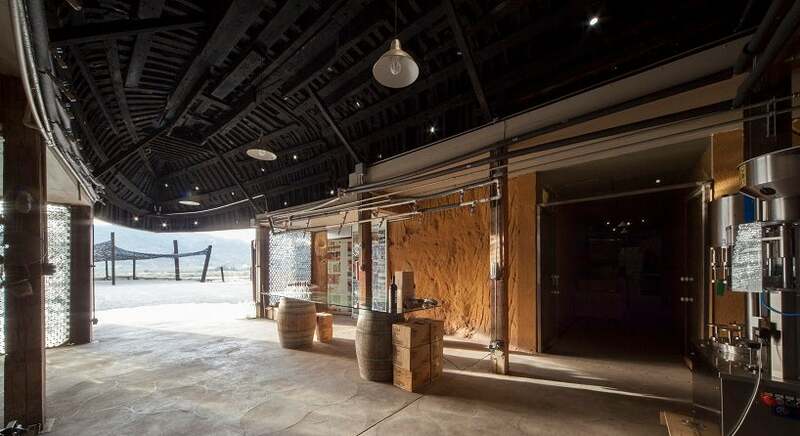 At Vena Cava, the duo salvaged a handful of discarded boats from a nearby port and turned them into vaulted ceilings for the winery’s essential functions. 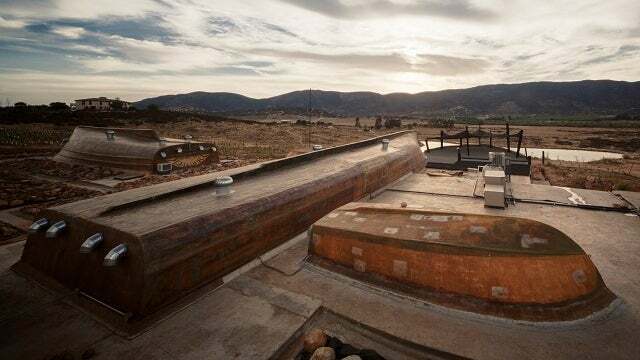 via Visit An Incredible Winery Built Out Of Abandoned Boats | Gizmodo Australia. I don’t know about you, but the idea that every single person in America who has ever had an injection has been protected because we harvest the blood of a forgettable sea creature with a hidden chemical superpower makes me feel a little bit crazy. This scenario is not even sci-fi, it’s postmodern technology. The only problem is that the companies need a large supply of the blood of live crabs. Horseshoe crabs live on the seafloor, near the shore. When they want to mate, they swim into very shallow water, and horseshoe crab collectors wade along, snatching the crabs out of their habitat. via The Blood Harvest – Alexis C. Madrigal – The Atlantic. Some of the most intriguing lumber we have in stock was never used in construction, and yet still considered salvage timbers. These beams are believed to have been loaded onto a Canadian ship in 1921 that wrecked off the Pacific Coast. In early 2010 as a beach near the wreck eroded, the shipwreck became exposed and the cargo began washing ashore. The Canadian Exporter was carrying 3 million board feet of lumber plus 200 tons of other cargo, heading from Vancouver, British Columbia to Portland, Oregon and then on to Asia, according to a story in the Seattle Times. Some of the timbers that Crossroads and our sister company, Pacific Northwest Timbers now have in inventory were found by locals and hauled ashore with a tow truck, a few others were discovered just beneath the waters’ surface by a local oyster fisherman. via Historic Large-Dimension Ocean Salvage Timbers. Ooh La La! Two of my favorite things – reclaimed ship wood and gorgeous pictures of it. Check out Remodelista for the rest of the story (and amazing photos). Using reclaimed ship wood, Chinese/German architecture firm Cheungvogl created a one-of-a-kind installation for the Aesop shop on Canton Road in Hong Kong. via A Hong Kong Apothecary Made from Reclaimed Ship’s Wood: Remodelista. Collin Stedman, a ninth grade student at St. Martin’s Episcopal School, who was volunteering with his entire ninth grade class, helps Randy Majoria, an enivironmental quality specialist with Jefferson Parish, line one of the fences with Christmas trees in the marsh near Goose Bayou in Jean Lafitte,LA Friday, January 11, 2008. Recycled Christmas trees are places in the marsh as part of the Jefferson Parish Christmas Tree Marsh Restoration Project to help restore the wetlands. via Get ready to put your Christmas trees curbside, Jefferson, Orleans parishes | NOLA.com. Floating Christmas Tree Project from Xplore on Vimeo. A “tree” made from old fishing nets attached to a mast that was planted in a leaky old boat. With a borrowed dinky little outboard motor we set out in the dead of night to surprise some early morning surfers on Venice Beach. via Floating Christmas Tree Project. Handmade in Spain using recycled sails from around the world, each of design studio Dvelas‘ chairs is a unique expression carrying its own history on the sea. The goal of Dvelas is to recover these used sails and give them new life and a new history through design. via Dvelas Reclaims Worn Boat Sails and Transforms them into Unique Loungers | Inhabitat – Sustainable Design Innovation, Eco Architecture, Green Building. 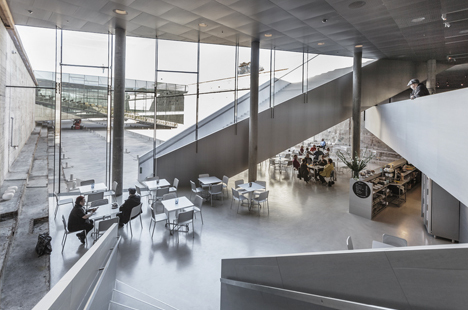 Using the existing vessel-shaped space of a six-decades-old dry dock, the Danish National Maritime Museum in Helsingor, Denmark takes visitors on a unique subterranean tour of the areas used to build, maintain and repair ships. 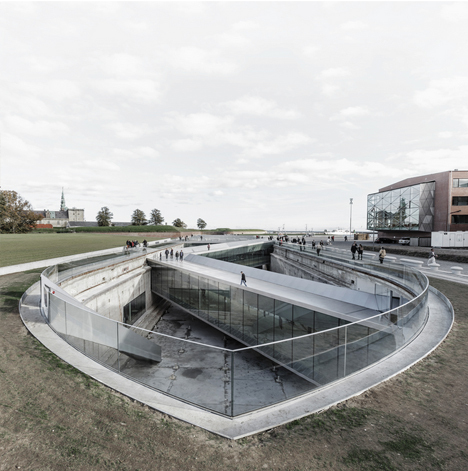 via Ship Shaped: Undergound Maritime Museum in Dry Dock Void | Urbanist. Oracle and Boeing are collaborating to recycle 7,000 pounds of carbon fiber from Oracle’s USA-71 boat. They say this is “a first-of-its-kind effort for what will likely be the largest carbon structure ever recycled,” according to Boeing’s press release. While carbon fiber has become a popular material used for all kinds of things, bikes, cars, boats, it’s not easy to recycle. Various researchers have been working on it. Now Ellison’s boat will be part of Boeing’s research. 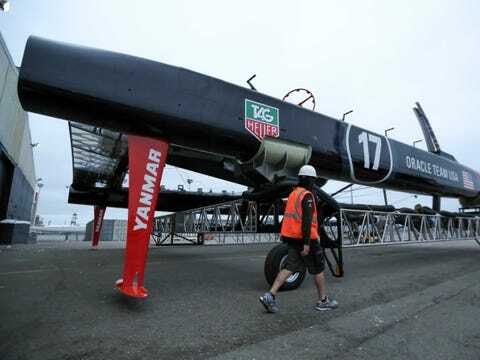 via Larry Ellison Is Recycling An America’s Cup Yacht For Science – Business Insider. Coastal Interior Design (Part Two): Unique and Unusual Homes | It’s So Fabulous! Located on South Bass Island in Lake Erie at Put-in-Bay, Ohio, rests the Owners and Captains Quarters of the former Great Lakes Shipping Boat, The Benson Ford. Originally designed by Henry Ford, the boat was in service for 50 years. In 1986, rather than scrapping the entire vessel, the top front section of the boat (comprised of walnut paneled state rooms, dining room, galley, and passenger lounge) was removed by an Ohio couple. They placed the rescued quarters on a picturesque home lot, transforming them into The Ship Residence. via Coastal Interior Design (Part Two): Unique and Unusual Homes | It’s So Fabulous!. I post on ship breaking and boat disposal because I am concerned about how much maritime waste is being produced and ignored. Fiberglass boats are everywhere. And they don’t breakdown. via Where do GRP boats go at the end of their service life? – Reinforced Plastics. 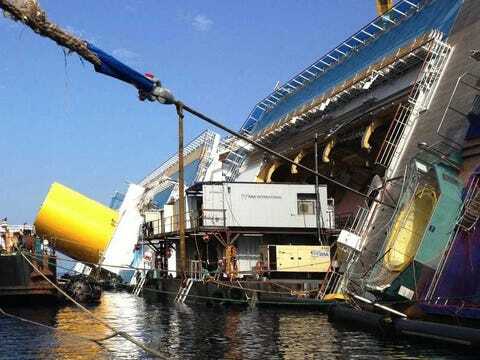 The teams on site will have only one chance to flip the ship upright. If it goes wrong, the backup plan is to break up the ship where it lies, at a huge cost to the local environment. 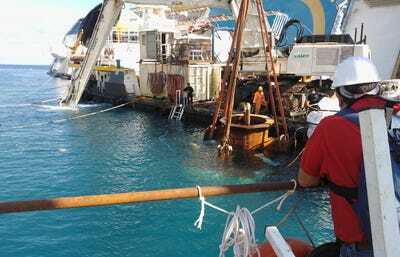 via It’s Almost Time To Flip The Shipwrecked Costa Concordia — Here’s How The Complex Plan Will Go Down – SFGate. The happiest shed on the planet! The roof is an upturned boat! It is located at an altitude of 750ft above sea level in the Cambrian Mountain range near Machynlleth in mid Wales. It is full of nautical nonsense befitting a boat turned upside down up a mountain! It is heated by a 19th century French enamel wood burning stove. The chimney is an old queen pole from a circus big top that used to house elephants know as The elephant shed! The shed is made completely from recycled materials except for the 12v system. 3 sets of chimes from inside mantelpiece clocks have been screwed into the centre board of the boat and you can play them with a big nail! via Boat Roofed Shed, Unique shed from Up a mountain on a farm | Readersheds.co.uk. The NGO Shipbreaking Platform has launched a website – www.offthebeach.org – which lists all the ships that have been sent for breaking on the beaches of South Asia since 2009. The site aims to promote safer and cleaner ship recycling and to inform cargo companies wishing to select responsible ship-owners to carry their goods around the world, the organisation explains. The website is part of the NGO Shipbreaking Platform’s ‘Off the Beach!’ campaign, which is designed to raise awareness of harmful shipbreaking practices and to promote the alternatives. Shipbreaking on the beaches of India, Bangladesh and Pakistan involves worker rights violations and severe environmental degradation, it is claimed. The NGO Shipbreaking Platform underlines that some of the shipping companies listed for having sent vessels to what it deems to be substandard facilities have subsequently changed their recycling policies. These ‘success stories’ are featured in the blog section of the website where the Platform will also highlight setbacks. via New website promotes safer and cleaner shipbreaking | Other news… – Asia – Recycling News | Recycling International – recycling magazine for professionals by professionals |. The proposed legislation would bar ships flying European Union flags from “beaching” old ships, that is, steaming them onto shore, where they are dismantled by hand at informal shipyards. The low-cost, ship-scrapping industry of India, Pakistan and Bangladesh is a multibillion-dollar business employing about a million workers, and the three countries account for more than 70% of the global ship-recycling industry. The European Parliament has approved measures that would ban beaching and fine EU shipowners for violations. Advocacy groups have criticized beaching for its poor safety and environmental record, preferring that ship breaking, as the broader vessel-recycling industry is known, be conducted in dry dock or at piers so that waters aren’t exposed to toxic spills. via EU and South Asia Scrap Over Recycling Ships – WSJ.com. David Kemp created a whale from two derelict cove-boats and thus stole my heart. Below are excerpts from his website. Pay a visit and be amazed! The artist David Kemp lives and works on the far western coast of Cornwall, among the old mine workings near Botallack. He finds material for his work in rich seams of junk, appearing here and there at boot fairs, but adding up, in the imagination, to something like that mysterious productive heap of dust in Dickens’ Our Mutual Friend. In fact there is an almost Dickensian breadth of vision, richness of character and sharpness of observation in Kemp’s work. David Kemp’s work is serious fun: serious, because his intention is to tackle our folly and or materialist excesses and fun because he is a master of life-enhancing humour. Driven by his own apocalyptic and subversive vision, he makes sculpture from the disregarded bits and pieces left by successive consumer boom. These remains point out the awful truth – that we value trash and are seduced again and again by the trumped-up new. Technology that is phoney, or only half understood, is grasped at for answers to our needs. In pursuit of the largest thing, it becomes impossible to tell real technological advances from the dead-ends. This point is made for this exhibition particularly by reference to electricity. The rush to harness the power of frog’s legs, to make hair stand on end or capture lightning were all so far beside the point – of course we know now, but in Kemp’s alternative world they have a different and more telling relevance. By making what might have been, or should have been, invented he mirrors universal human weaknes. via Shaped on all Six Sides on Vimeo. A short documentary about the craft and philosophy of wooden boat carpentry. Frank Allen of Astoria, Oregon is quickly becoming one of my heroes. He is proposing a ship breaking facility in Astoria. Recycling ships can be toxic, and in countries without regulations life-threatening. But leaving ships to degrade and rot (which we have in our waterways everywhere) is a travesty to the waters, the materials, and the history of a working vessel. We wish Frank Allen the best of luck in his quest. “What we’re proposing is not shipbreaking,” said Frank Allen, a partner with Scott Fraser in Blue Ocean Environmental, standing at the front of a packed Port of Astoria Commission meeting Tuesday night. During a presentation, he talked as much to the audience as he did the Port commissioners. The abnormally large crowd gathered in anticipation of Blue Ocean’s proposal for recycling the metal from derelict vessels at the Port’s North Tongue Point facility. Several previous applications for shipbreaking on the Columbia River have been rejected in recent years because of widespread fears that toxic materials would pollute fragile salmon areas. The Port and Blue Ocean had a nondisclosure agreement that was recently lifted. There are 300 derelict vessels in Oregon and 400 in Washington deteriorating and polluting the environment, said Allen. Thousands are being disposed of without any environmental concerns, he said. He said the two options with this issue are to be proactive or do nothing. His operation would start with a small, 60- to 70-foot vessel at North Tongue Point. Blue Ocean would bring in specialists to remove the toxic substances, recycle the metal and ship it by barge to Seattle. Steel firm Nucor Corporation (www.nucor .com) will take it for what Allen said would currently be about $19 a ton and reprocess it for use in the U.S.
“We’re working directly under the EPA,” said Allen, adding that the operation’s primary environmental monitor reporting to the state would be the Maul Foster & Alongi engineering firm of Portland. The U.S. Coast Guard would also be involved in permitting Blue Ocean to tow any vessels in. “We’re doing it to prove a point: that it can be done,” said Allen, adding that it’s going to build up over a number of years and not be a moneymaker to start. He asked for a chance to try the process on a small, possibly local vessel, after which Blue Ocean, the Port and the public could go over the results and decide whether to keep Blue Ocean around. Along with a willingness to give three or four public presentations, Allen said he’ll look into creating an email account specifically for people with questions about his proposal and will provide information to the public that isn’t proprietary. Blue Ocean doesn’t currently have a web site. Oregon or Washington native? You will want to read the entire article via Shipbreaking is ‘recycling,’ Port is told – Daily Astorian: Free. 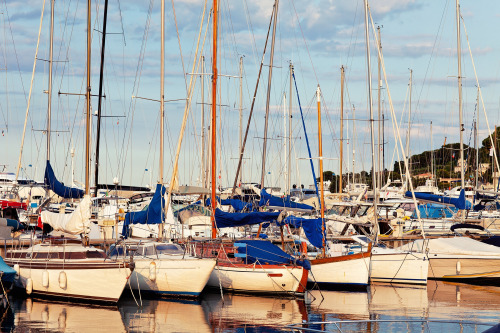 Inhabitat has a nice feature on Aellon – folks who make goods from boats. Check it out and be inspired. Serious stewards of the earth who ensure their work has the smallest environmental impact, Aellon has a wide-ranging handcrafted product range that will enliven any home. via BKLYN Designs: Aellon Turns Shipwrecked Boats and Reclaimed Materials into Fabulous Furnishings | Inhabitat New York City. The Staten Island Boat Graveyard – officially called Witte Marine Scrap Yard or Arthur Kill Boat Yard – is the final resting place of dozens of rusting, rotting, abandoned and decommissioned vessels. Rossville‘s last commercial maritime salvage yard, the semi-submerged boats are popular with local urban explorers and others interested in Staten Island’s maritime history. Photographs by Bob Jagendorph go see the rest via Shipwrecks in the Staten Island Boat Graveyard | Urban Ghosts |. Environment Commissioner Janez Poto?nik said: “Although the ship recycling sector has improved its practices, many facilities continue to operate under conditions that are dangerous and damaging. This proposal aims to ensure that our old ships are recycled in a way that respects the health of workers as well as the environment. It is a clear signal to invest urgently in upgrading recycling facilities.” The new rules, which will take the form of a Regulation, propose a system of survey, certification and authorization for large commercial seagoing vessels that fly the flag of an EU Member State, covering their whole life cycle from construction to operation and recycling. 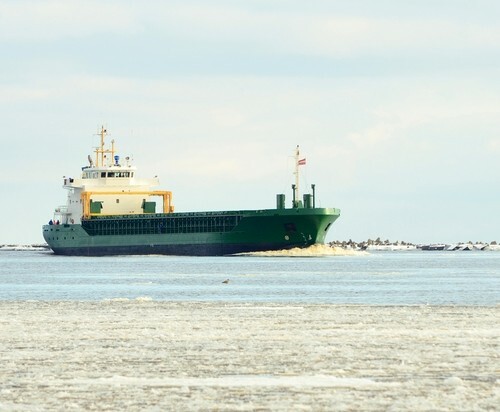 via Ship Recycling Fund Approved by European Parliament · Environmental Management & Energy News · Environmental Leader. The decks are empty and the turbines still and silent on this hulking steamer. For over three decades, the Duke of Lancaster sat on the banks of the River Dee in north Wales, slowly rusting away. To anyone who saw her, the ship was little more than another abandoned maritime relic, but that was before the DuDug project intervened – and artists turned what had become a giant eyesore into a colorful open-air art gallery. 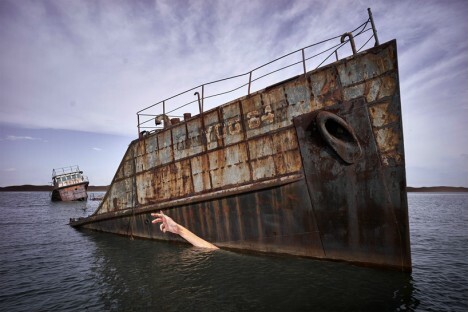 See the rest via Abandoned Steam Ship Transformed into Giant Street Art Gallery. Decommissioning ships – or shipbreaking kills people. Poor people of course. Poor people that live very far from where the ships are originally created. Lets do something about this shall we? Start by just learning that this dangerous industry exists. We’ll help with that part. If you have any good ideas to get the word out about shipbreaking, we’d like to hear them. Please use the comments section to let us know. Thanks! 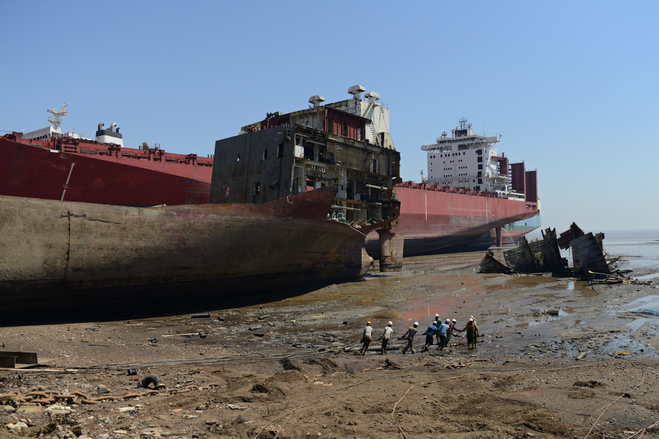 Read this article via Shipbreaking: World’s most dangerous job? – Salon.com. Look what we found waiting in our in-box from Kickstarter this morning. 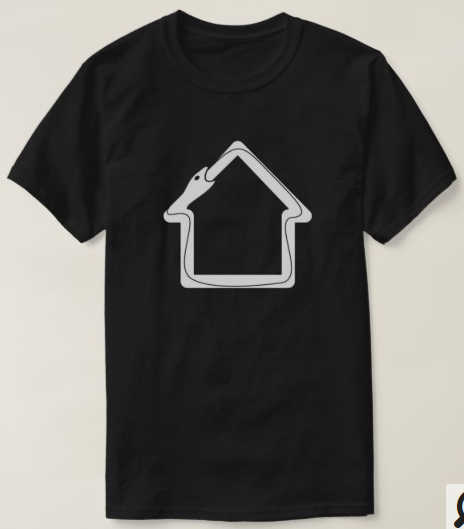 You better believe with think this is a great idea! They need some serious clams though, so if you like it too cruse on over and throw them a line (or two). Enjoy sustainably-harvested oysters and cocktails on the deck of Laurel. Upcycled crafts from her deck restoration make great gifts. Although the Laurel holds the honor of “oldest active fishing vessel” by the United States Coast Guard, her days of hard-work are behind her. Laurel is a real head turner so we came up with an idea to bring her from port-to-port and let people come aboard and hear about her legacy…and have some really great oysters and cold drinks at the same time. Additionally, farmers harvest dinners on her deck for a limited number of guests, served family style, should prove to be a hit. 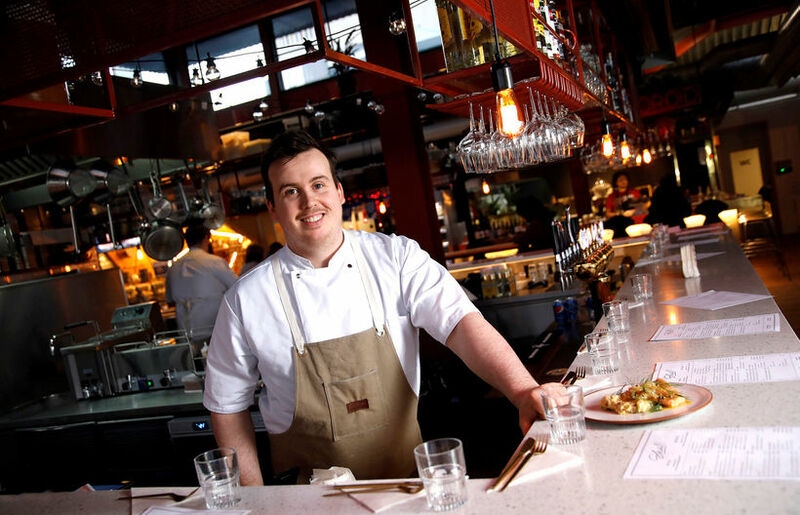 Because Laurel is a mobile platform, guest chefs at many locations are possible which will keep the menu exciting. And, for hyper-local foodies, Laurel can still harvest her own shellfish, so dont be surprised if the oysters you eat in the evening were harvested by her that morning! via Laurel 1891 — Upcycle Americas Oldest Oyster Boat by Jean Paul Vellotti — Kickstarter. Preserved old growth timber for ship building found in a salt pond. Its like winning the lottery of wood – if you are into that kind of thing. He crafts benches, tables, picture frames, candle holders, and lamp bases from sections of live oak and white oak that were retrieved from the Charlestown Navy Yard in 2010. The enormous timbers were discovered while crews were prepping the site for the ongoing Spaulding Rehabilitation Hospital construction project. As Stevens explained, the wood had been stored in a salt-water pond to preserve it for the eventual reconstruction of either the USS Constitution (a frigate launched in 1797, and widely known as Old Ironsides) or the USS Constellation (launched in 1854). But in the mid-1880s, the shipyard began making all-metal boats, and then, in 1914, on the brink of World War I, the timber pond was covered to make room for diesel storage tanks. Then the wood was all but forgotten — until three years ago. Upon the trove’s rediscovery, Mystic Seaport, a living history museum in Connecticut, took some of the timbers to restore the whaler Charles W. Morgan, while Stevens’ business partner Peter Sel­lew bought the rest — 13 tractor-trailer loads, now stored at New England Hardwood Supply in Littleton. 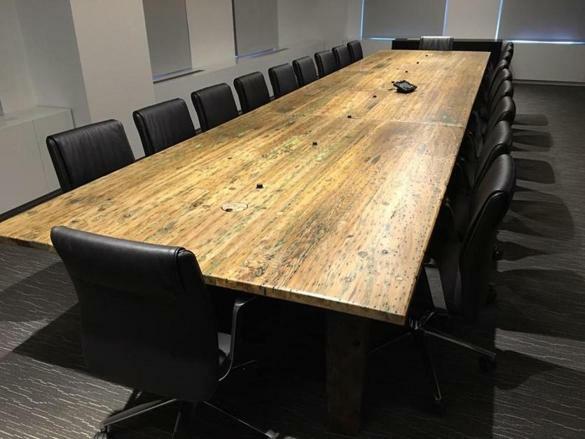 via For craftsmen, reclaimed wood is a tangible reminder of history – – Boston.com. Egypt – has a marine clean up campaign! Brilliant Egypt – thank you. One thousand kilograms of waste — including aluminium cans, empty bottles, plastic, glass, ropes, metal pipes and bits of old boats — are now no longer part of the marine life, after a clean up campaign.About 50 professional deep sea divers cleaned the garbage from the sea floor off the coast of Sharjah.Organised by the Sharjah Museums Department SMD and other government bodies on Saturday the ‘Flag Island Seabed Cleanup Campaign’ is the first-of-its-kind event. via 1,000kg trash removed from seabed – Khaleej Times.